Have you considered the benefits of a new garage door installation? Many people use their garage as the main entrance to their home. If you do the same, why not beautify the appearance of your home with a new garage door? New designs and construction of doors have led to many possibilities. You can get a garage door that is durable and beautiful. Contact us for garage door installation in Houston, Texas. 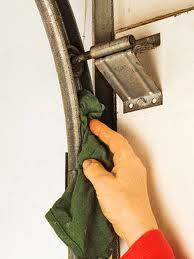 Garage Door Repair Houston has a wide selection of great garage doors to choose from. We offer new doors made of different construction materials such as aluminum, wood, steel, and more! Our garage door installation is affordable and reliable. We handle all installations quickly and reliably. When you call to setup a new garage door installation, we immediately begin getting ready for it. In most cases, we can get it all done on the same day or the very next morning. Our techs work together quickly to get your new garage door installed fast. We offer a wide selection of different aluminum garage door brands and designs. Aluminum is the perfect choice for homeowners who need a new garage door without spending too much. Aluminum doors come in a variety of thicknesses and designs and are naturally resistant to corrosion. Steel garage doors are another choice. These are rugged and coated for resistance to corrosion. They come in many different designs, colors, and sizes. You’re sure to find one you like for your garage. We can even help you select the right door for your budget. There are also many choices for a special type of beauty from wood garage doors. These types of doors can have very intricate designs and appearances. Still, some people prefer the reliability of Craftsmen garage doors. For certified garage door installation in Houston, TX, give us a call today!